The Energy Web is an open-source, scalable blockchain platform specifically designed for the energy sector’s regulatory, operational, and market needs. It serves as a foundational, shared, digital infrastructure for the energy and blockchain community to build and run their solutions. 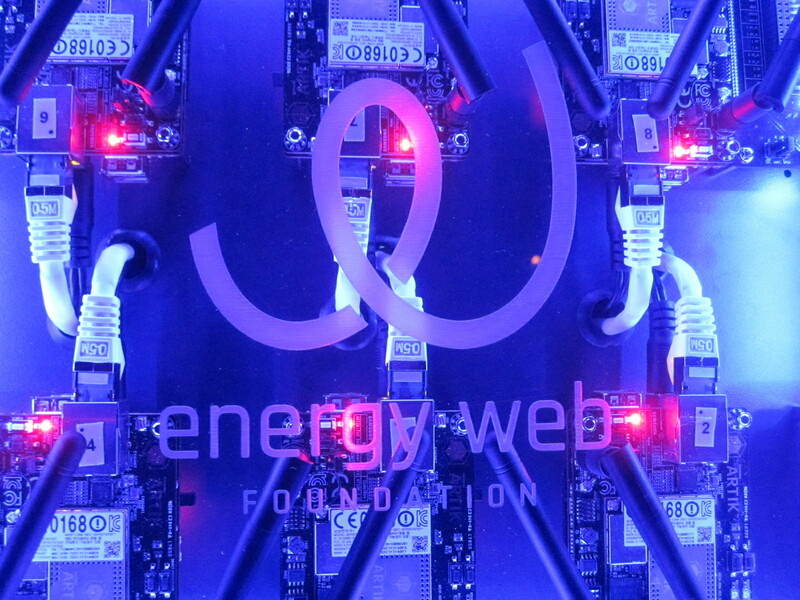 Together, the Energy Web Foundation, Affiliates, and Community are unleashing blockchain’s potential to accelerate the transition to a decentralized, democratized, decarbonized, and resilient energy system. Get started with the client. View the network’s realtime statistics on the authorities netstats page. Observe Energy Web Chain transactions on our Etherscan. Create an account (wallet) and request Test Tokens from our faucet. For additional questions, join our Energy Web Wiki. The EW blockchain is based on ethereum, today’s most-used blockchain development platform. The blockchain is designed to achieve maximum transaction throughput via proof of authority, raiden, and interoperability. The EW blockchain uses a unique on- and off- chain governance structure that relies on permissioning to establish unique governance roles across different actors. The blockchain platform is openly accessible and usable for the global blockchain and energy community. The EW team is working to bring new features to the chain on an ongoing basis in response to energy sector needs and feedback.